It would be a disservice to simply state that singer/songwriter/musician Frank Fairfield is an anomaly. Those who have witnessed one of his several astounding local live performances armed with a banjo, parlor guitar, fiddle, his voice and one tube microphone, know he embodies each song with eccentric zeal, providing a glimpse into the raw spirit of rural folk music of the late '20s and early '30s. It would also be inaccurate to peg him as some sort of folk revivalist. Fairfield's type of musical interpretation, as evidenced in his excellent self-titled 2009 debut featuring traditional covers, is reverent to the song's source, displaying his enormous skill and an assortment of styles such as his clawhammer banjo style derived from late '20s Appalachia. His approach is a no-frills sincerity -- a reminder of a lost period when folk music was played by actual folk for the entertainment of, well, folks. Fairfield's next project was Unheard Ofs & Forgotten Abouts, handpicked selections from his expansive collection of 78s reflecting a global perspective and connecting the varied lineage to American roots music. 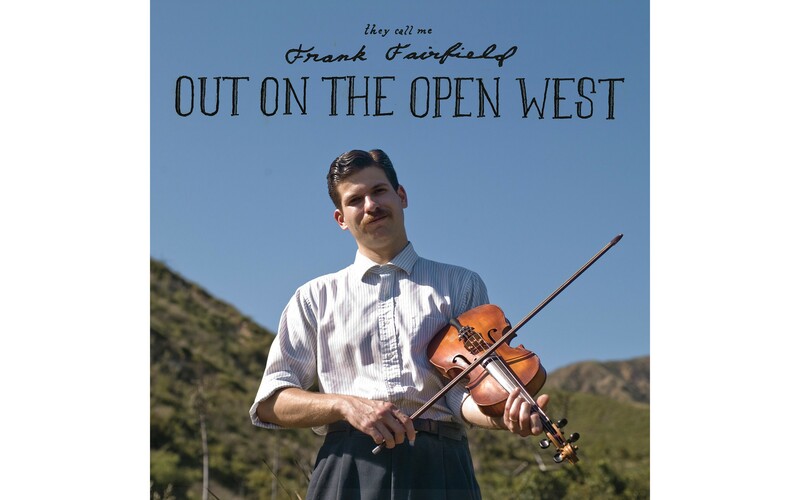 Fairfield's second full-length release, Out On The Open West, showcases his maturating chops and increasing confidence as a performer and musician. This is also his first full release of mostly self-written material. He has successfully absorbed and distilled influences such as Buell Kazee and Clarence Ashley in tunes such as "Kings County Breakdown," which also features guest guitarist Tom Marion, a longtime member of R. Crumb's Cheap Suit Serenaders. Fairfield is joined by Jerron "Blind Boy" Paxton on "But That's Alright," such an upbeat song that you nearly miss the intricacies of Fairfield's fiddling and the way he drags his bow. It's not for effect, it's instinctive. A trio of globe-crossing troubadours -- European émigré busking brothers Justin and Josh Petrojvic, who form The Petrojvic Blasting Co., and Brandon Armstrong from The Jake Leg Stompers -- contributes to the record's finest song, "Poor Old Lance," where the confluence of strings (three types of fiddles, four players) creates a haunting and moving resonance. Producer Michael Kieffer captures Fairfield's songs with a warm clarity, improving upon the overall sound of the 2009 debut. There are no fake old record hisses and pops, only his instruments and the stark intimacy of Fairfield's vocals (which have gained a timbre, adding depth to his "high lonesome" sound). Perhaps Fairfield is an oddity who brings the ghosts of great American balladeers like Charlie Poole and Furry Lewis back to light, but he is also a unique living artist who has carved out his own style. And from the plethora of new Old Weird Americana, Out on the Open West reaches a distinct, fresh level.